Should Authorities Be Able to Access Your Phone? The Justice Department now wants to add a “warrant proof” encryption feature to your cell phone. “Responsible encryption” would require a judicial order, not just a warrant, for law enforcement to be able to access your phone without your permission. As examples, Deputy Attorney General, Rod Rosenstein points to the central management of operating system updates, and key recovery when users forget their passwords to decrypt their laptops. This is not a new idea; in fact, Apple and Google are fighting the issue on behalf of their customers, who want to maintain secure devices. 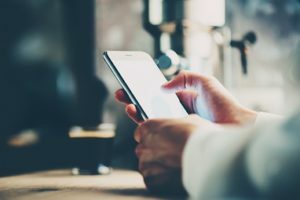 Police use the argument that by not being able to gain access to a user’s phone, they could be missing information vital to helping them solve criminal cases. IOS and Android currently encrypt their phones’ storage with a key that never leaves the device. They also offer messaging apps that can be encrypted from end to end with keys confined to individual devices. Those who are advocating for change are not necessarily demanding a particular hack into your phone; they simply want the industry to do something to make it easier for the police to do their jobs. He maintains that as police inevitably demand their use in criminal and civil cases, some of these codes will be compromised. This could leave the average phone user with a less secure cellular device. Some say it would take an act of Congress to make these changes to technology that could affect our privacy. But to date, affecting technology change is one of the few things that Congress still cannot enact. And that is probably a good thing for the consumer. Tell us what you think about the government and law enforcement having at-will access to your cell phone. If you need a lawyer, or have legal questions, please consult our Online Legal Directory to find an attorney in your area.